This day Russia launched its military aggression against Georgia. Ukrainian President Petro Poroshenko has expressed solidarity with the people of Georgia on the ninth anniversary of Russia's aggression against Georgia. 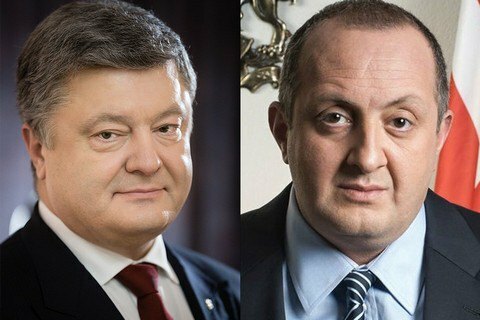 "This day our hearts are with you," Poroshenko told Georgian President Giorgi Margvelashvili over the phone. Ukraine has supported and will support Georgia's territorial integrity, he added. Margvelashvili said that Georgia has felt and appreciated Ukrainian support. He said that a Georgian military delegation headed by the defence minister will take part in the parade on Ukraine's Independence Day celebrated on 24 August. The two presidents discussed the Russian president's visit to Abkhazia on 8 August. Following a five-day war with Russia in 2008, Georgia lost control of two regions, Abkhazia and South Ossetia. Most countries of the world did not recognize the two breakaway regions.